Couples have different ideas about what they desire in their bathroom. You might want to be able to sit down in front of a large mirror to apply makeup. On the other hand, your loved one may want a fogless mirror in the shower for shaving, with plenty of shelving space for shaving products. These differences between what each of you wants could go on and on. 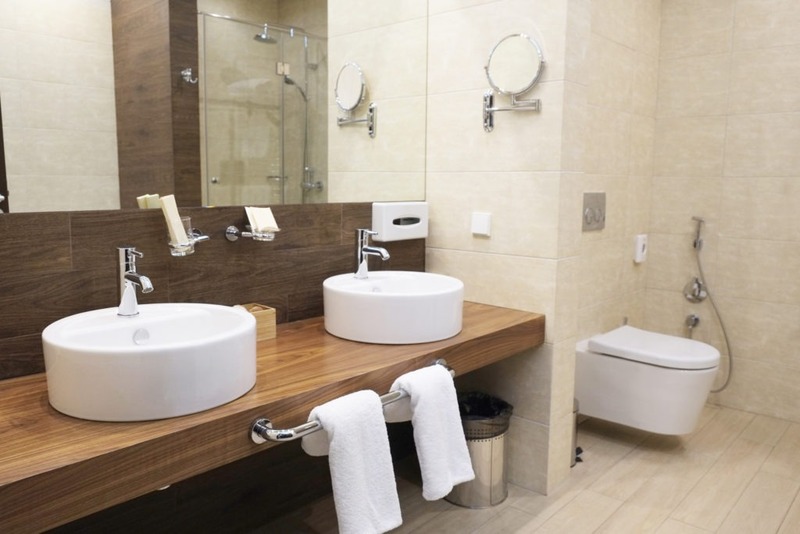 To help ensure your bathroom remodeling project delivers the perfect couple’s bathroom, we are pleased to present the following his and her bathroom ideas and tips. Make a list of needs and wants. Both people should make their own list of items they need (“must haves”) and want (“would like but can live without”). Once both of you have completed your lists, compare them to see which items you both agree upon. Be willing to make compromises on items you do not agree on. Since both of you will be sharing the bathroom, work out compromises on which items you will include in your bathroom remodel. For instance, you might want a Jacuzzi-style bathtub for long soaks, but he or she wants a stand-alone shower. A great compromise is to include a corner shower for your partner and the Jacuzzi-style tub for you. Consider installing his and her sinks. Having two sinks in the bathroom makes it easier to get ready for work or bed without having to wait for the other person. Plus, you don’t have to worry about overcrowding of personal hygiene and grooming products since you will have the entire space around your own sink! Consider his and her corner shower kits. This idea is great for couples that share similar schedules and who both like to shower at the same time. Just like separate sinks, you will have plenty of room to keep your hair care and showering products. Upgrade the toilet and move it off the floor. If you need more floor space, get a new wall-mounted toilet. They take up less space and use less water per flush. You could even look at models that have heated toilet seats or self-cleaning options. Knock down a wall to make the bathroom bigger. If you have a hall closet or bedroom closet next to the bathroom you do not use, you could convert this into bathroom space for a bigger bathroom. If you are happy with the size of your bathroom, another great idea is to use the closet space as a dressing room. 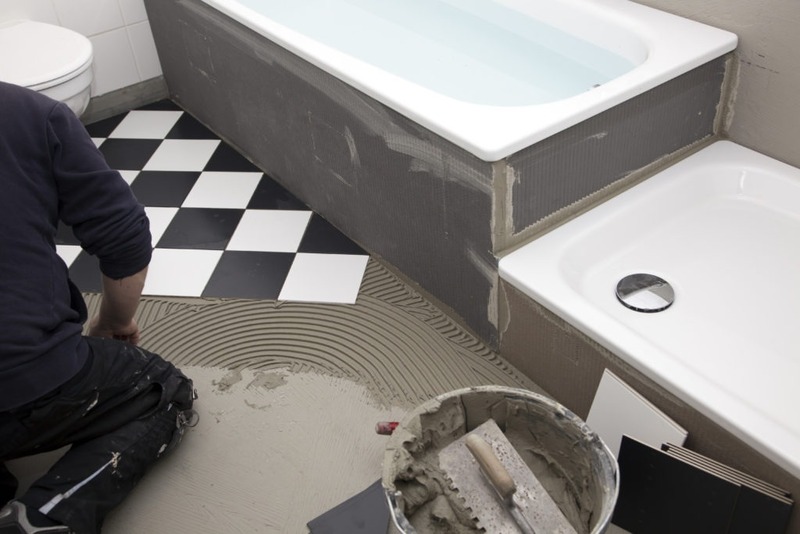 We hope these his and her bathroom remodeling ideas and tips have inspired you. For shower and tub enclosures, corner showers, and other bathroom accessories, please feel free to contact American Bath Enterprises, Inc. at (888) 228-4925 today!